Hamas claims it uncovered and arrested an Israeli agent who provided information on a military target in Gaza that was attacked by the IDF. 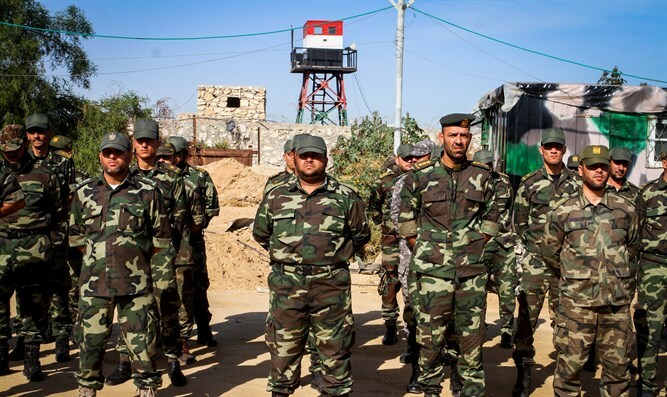 The Al-Majd website, which is affiliated with Hamas's intelligence apparatus, reported on Sunday about the arrest of an Israeli agent following an investigation into an Israeli airstrike against military positions in Gaza on August 9. According to the report, an analysis of the target and timing of the attack motivated the intelligence apparatus to perform a thorough mapping of the scene of the operation, during which an agent who worked for Israel and who was involved in the attack was located. During his interrogation, the website claimed, the suspect said that he began working for Israeli intelligence in 2014 and since then has provided a great deal of information about the “Palestinian resistance organizations”, their activities, their members and their homes. He also allegedly transmitted sensitive information about the target that was attacked in August, and photographed the target before and after the attack at the request of an Israeli intelligence officer. According to him, the Israeli officer updated him about the date of the attack and asked him to view the site and collect information. This is not the first time that Hamas has claimed to have arrested an Israeli intelligence agent. In recent years, the group has been conducting a wide-ranging campaign to expose Israeli intelligence agents and dissuade Palestinian Arabs from cooperating with Israel. Last year, Hamas claimed that it arrested an intelligence agent who had provided information to Israel for 14 years. Previously, the group claimed to have exposed “the most dangerous intelligence agent” who allegedly worked for the Israel Security Agency (Shin Bet). Many times, the “Israeli spies” claimed to have been captured by Hamas are tried and sentenced to death.